Christopher Columbus once proved the world wrong in the 15th century by proving the world is round, not flat. Yet here we are centuries later with people making themselves look foolish by stating definitively the world is actually a flat plain. Among those who believe in this alternative fact is Kyrie Irving of the Cleveland Cavaliers. 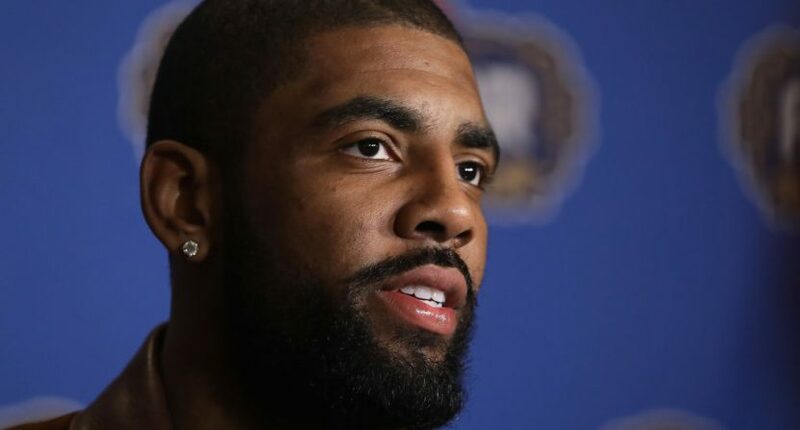 In an interview with Cleveland teammates Channing Frye and Richard Jefferson on their podcast, “Road Trippin,” Irving explained to his Cavs teammates with an authoritative tone that there are aliens living somewhere in the universe and the Earth is a flat surface, not a round object as we know to be scientifically and visually proven in countless ways for centuries upon centuries. It’s at this point I usually tune someone out when they go on with such a bizarre claim, but we’ll allow Irving a chance to explain his logic here anyway. Well, I don’t know about you guys, but yes, I can comprehend that line of thinking, since that’s exactly what happens. Regardless, Irving continued on his X-Files way of thinking on this subject. I’m inclined to think people who say the Earth is flat are doing so to draw a few laughs and attention, but Irving seems stuck with his stance on this one. Keep searching, Kyrie. If nothing else, it will keep you busy for the rest of your life, because I’m sorry to break it to you that the Earth is not a flat surface.